Congratulations to 20 year old James King, attached to Neil Mulholland’s yard, who is enjoying a cracking season and already enjoying a battle for the amateur championship title alongside John Dawson who continues to play cat-and-mouse with him at the top of the tables. Currently James is maintaining his lead! 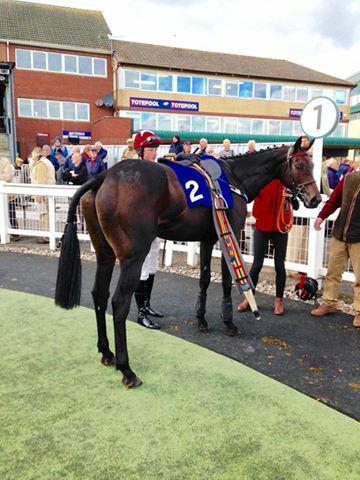 At Ludlow on 20th October James enjoyed another winner to add to his tally aboard FOREVER MY FRIEND for Peter Bowen in the EPDS Racing Partnerships Supporting Racing Welfare Handicap Chase. This was a really authoritative performance with James jumping FOREVER MY FRIEND off from the first stride to take it up, maintaining his frontrunning position throughout the race and keeping nicely out of trouble, with plenty of carnage left in his wake. Following his success James said “He jumped very well. 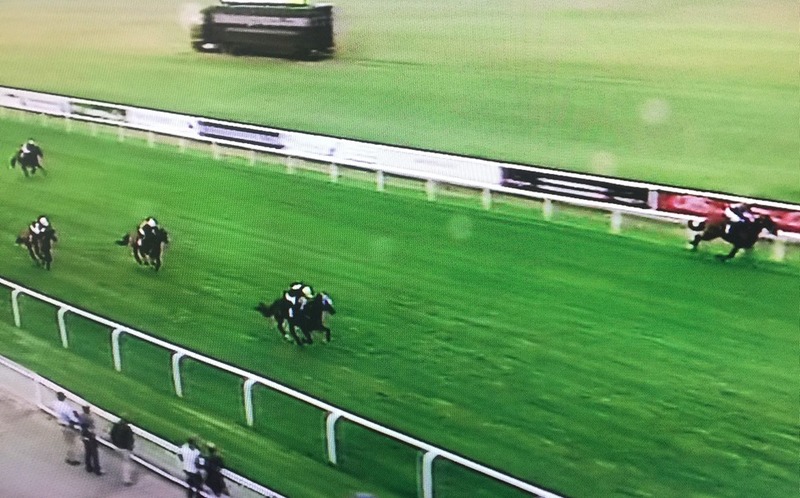 He’s a talented horse when he’s able to dictate like that and he gets his ground.” Well done James! 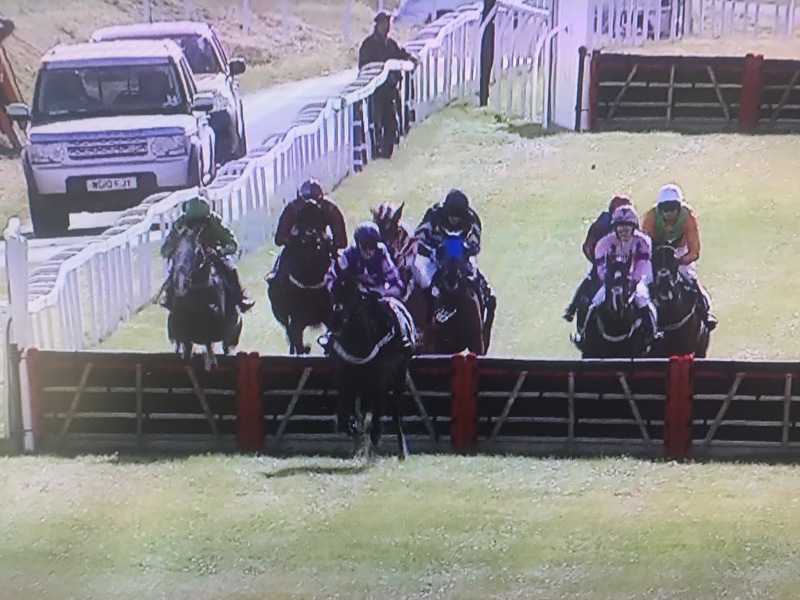 With the jump season now getting into full swing, congratulations to Josh Newman who enjoyed a winner at Exeter toda with THOMAS BLOSSOM in the ROA/Racing Post Amateur Handicap Hurdle, trained by Ali Sam Stronge. Held up in the early stages, the partnership made headway to lead from 3 out and THOMAS BLOSSOM responded well for Josh to win by a length from HAHNENKAM and Laura Jenkins with ICE KONIG and Bryony Frost a further 2 lengths back in 3rd. Congratulations to winning connections and well done Josh off the mark for the season and his first winner for Ali Stronge! 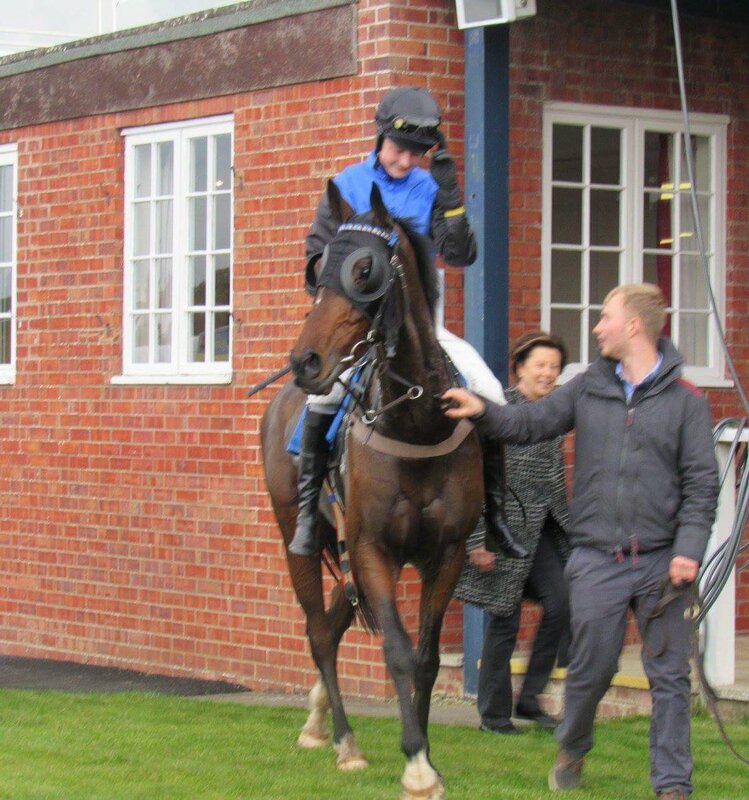 Many congratulations to sixth former Jamie Perrett who enjoyed his first winner from only 5 rides when scoring in the last race of the season today at Windsor on Richard Hughes’s FAST PLAY. It was 4 years ago at the same meeting that Richard Hughes rode 7 winners from 8 races and it was great to see him give James such an important day of his own to remember. BOB’S BOY under Will Pettis set a scorching pace, lit up by first time blinkers and led until the last 75 yards. Meanwhile FAST PLAY (also wearing first time blinkers) was at the rear of the field but ridden patiently by James under top weight. 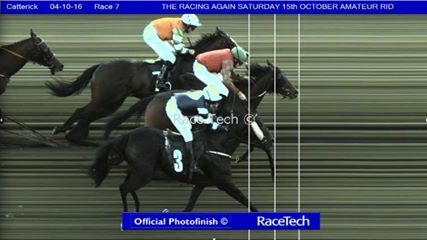 The partnership made steady progress to take 2nd place with hands and heels with a furlong to go, and managed to hold on well inside the final furlong even after veering violently to the far rails under the whip to win by 2 1/4 lengths. Following his success James said “She has taken me over to the far rail to be fair, but if she can get hampered at the start and take me over to the far side and also win, she has plenty more to give. It probably helped me a little to be off the pace for a lot of the race. James rides out regularly for Richard Hughes and said “I’m indebted to the Guv’nor for giving me this chance and also the owners. 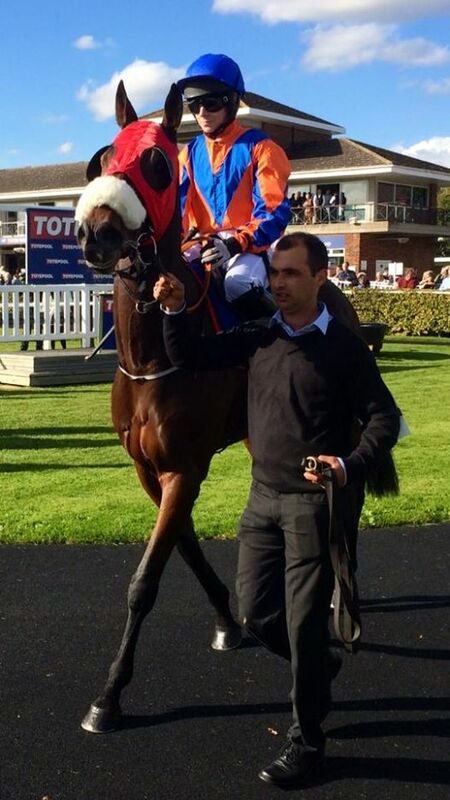 He is so good to ride out for and I’m very lucky.” Well done Jamie! Irish raider Lisa O’Neill scores double at Stratford! No sooner had Lisa O’Neill enjoyed her biggest career win to date when winning the Kerry National for Gordon Elliott with WRATH OF TITANS last month at Listowel than on her first visit to Stratford-upon-Avon today she rode a double! Her first victory came in the toteexacta Selling Hurdle on SHAN DUN NA NGALL who led the small field of four approaching the last and won comfortably for Gordon Elliott. Lisa went on to complete her double in the concluding Lady Riders Handicap Hurdle on PRESENTING JULIO for Liam Lennon, always handy and pinging the last to score by 2 1/2 lengths. Well done Lisa! The Amateur Jockeys Association 2016 AGM was held on Monday 10th October at which our President since 2010, Dr Philip Pritchard, retired and we welcomed our new President Bob Davies. 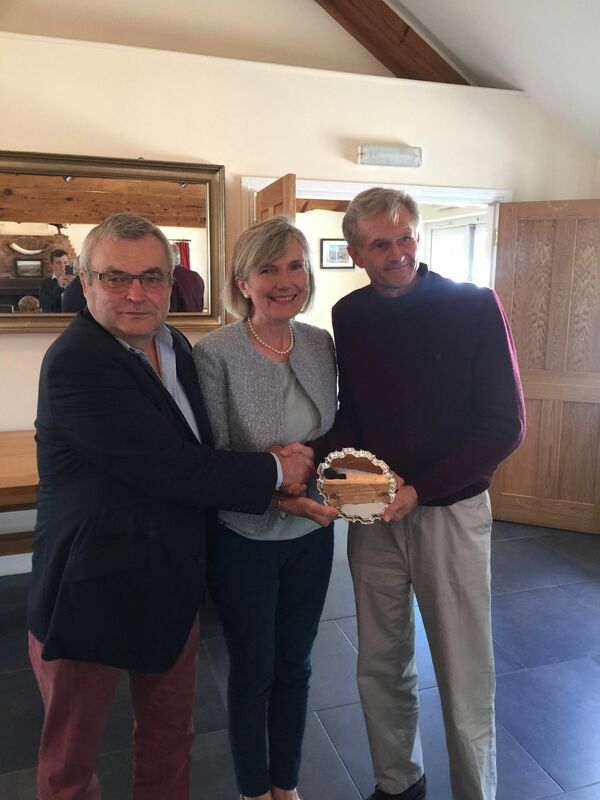 Bob is Club Secretary and General Manager at Ludlow Racecourse as well as AJA Company Secretary and Director. 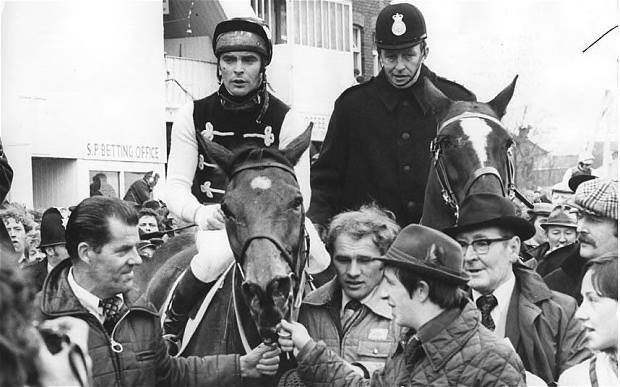 Bob was Champion Amateur Jockey before becoming Champion Professional and won the Grand National in 1978 on Lucius. Huge thanks from us all to Philip who we are happy to say remains as Medical Consultant to the AJA and has been such a stalwart support to us all, not least to our injured jockeys, and we look forward to working with Bob in promoting and protecting amateur jockeys in the future. Whilst the Flat season is drawing to a close, of course our Jumps Season is warming up and the battle for the gentlemen’s amateur jumps championship is already red hot with John Dawson having commanded an early lead with 4 winners. 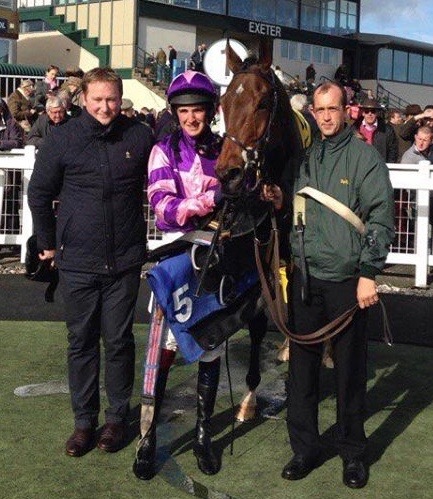 However, James King has had John in his sights for a while and forged one ahead today at Exeter when riding against professionals and winning The Great Point Media Investments Novice Hurdle with LOSTOCK HALL for David Dennis. 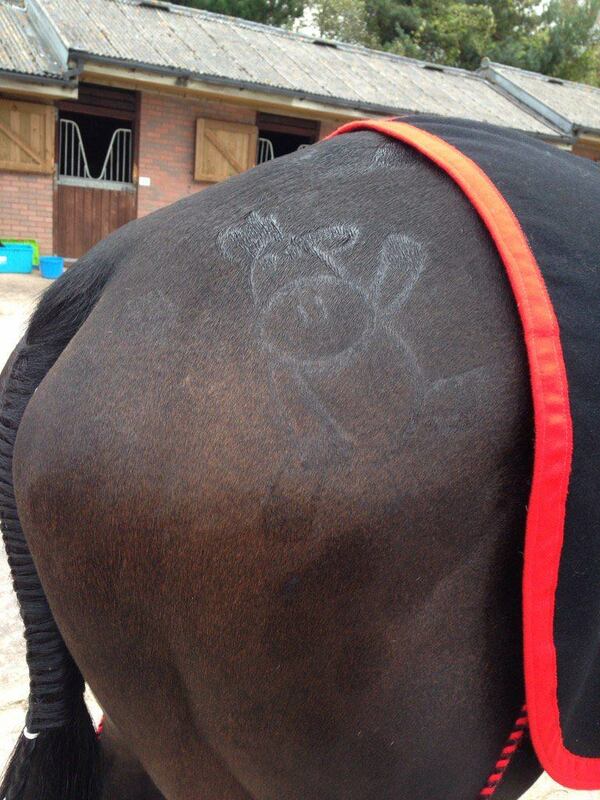 LOSTOCK HALL had the Willberry Wonder Pony quarter marks in support of the #kickingcancersbutt campaign. The charity was founded by the late Hannah Francis, the 18 year old event rider who died in August just 15 months after being diagnosed with bone cancer. Well done James on now leading the men’s Jump table with 5 wins! What a great start to the season ahead! Good luck all! 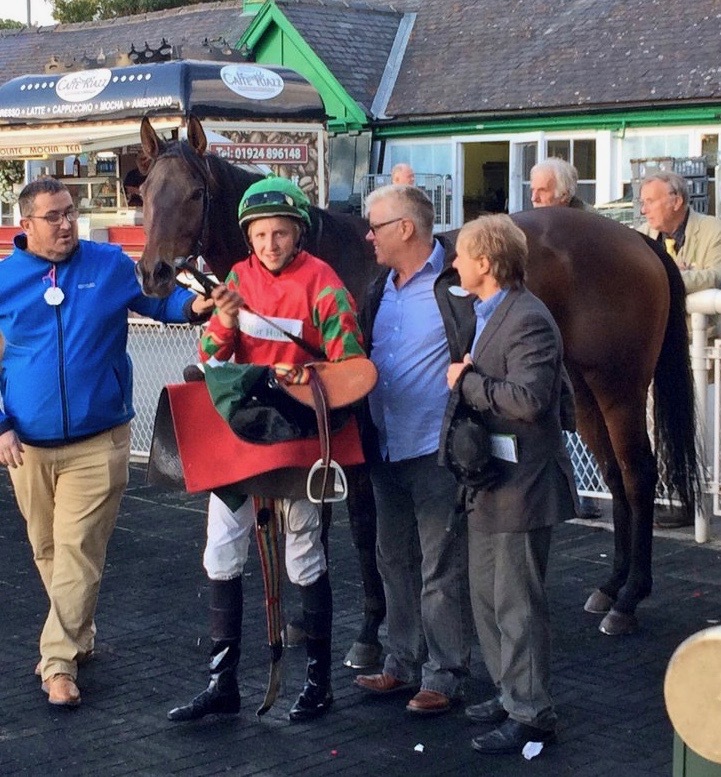 Congratulations to Lewis Stones on a memorable 33/1 win today when victorious at Catterick for Mick Mullineaux on VERY FIRST BLADE. This was Lewis’s first win as an amateur jockey although his second career win, having won with the same horse at Southwell on the All-Weather back in January of this year when an apprentice in a Hands and Heels. What a great partnership! No wonder Lewis announced in the winner’s enclosure that VERY FIRST BLADE is his favourite horse! 15 went to post and VERY FIRST BLADE travelled well in mid-division before making headway over a furlong out and laying down a challenge inside the final furlong to win by a head from Serena Brotherton and Ruth Carr’s WHIPPHOUND with Simon Walker and Noel Wilson’s LONGROOM a head back in third. What a finish! 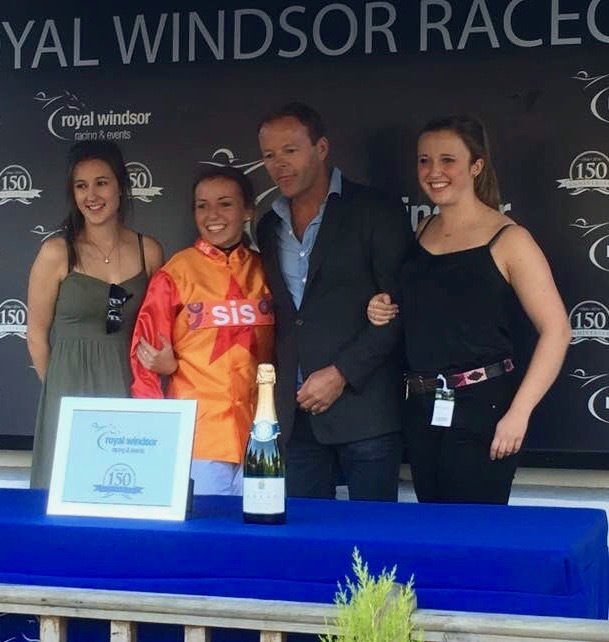 Congratulations to Jessica Cooley who will never forget the Best Parties Ever Stakes at Windsor last night riding her first winner under Rules there when partnering FRANGARRY for Alan Bailey. Always handy, FRANGARRY led from just over a furlong from home and responded to Jessica pushing him out to win by 3/4 of a length from Ellie MacKenzie on Dave Evans’s HEAD SPACE with Graham Gilbertson another 3/4 lengths back in 3rd. During Women’s Sport Week, Arena Racing Company (“ARC”) is delighted to announce the launch of an exciting new race series for female jockeys – The Silk Series.This Silk Series is a new initiative designed to provide female jockeys, both professional and amateur, with the opportunity to participate in races hosted at nine Ladies’ Days at ARC racecourses in 2017.The prize fund for nine races making up The Silk Series will be a minimum of £100,000. The leading female jockey at the end of The Silk Series will be awarded ‘The Tufnell Trophy’ in memory of Meriel Tufnell MBE who was Great Britain’s first Female Champion Jockey in 1972, a feat she matched in 1973 along with also becoming European Female Champion Jockey. In addition to her success on the racecourse she also founded the Lady Jockeys’ Association – the first such body in the world. 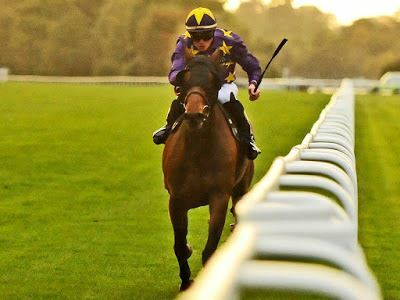 Races will be run over a variety of distances with horses aged three years and over eligible to take part. The exact race conditions are still to be agreed with the British Horseracing Authority (“BHA”) as part of the 2017 race programme. If there is a dead heat for first place the two horses will each receive 18 points (based on splitting the points available for first and second) and the third horse to cross the line will receive 12 points. The Tufnell Trophy will be awarded to the jockey who wins the most points across the nine races. The presentation will take place on the afternoon of 14 September at Doncaster Racecourse.